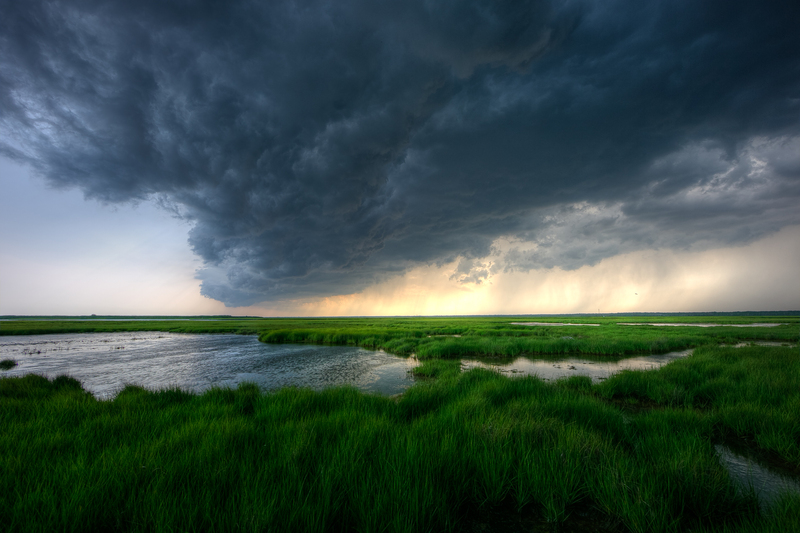 Taken back in late June 2013, thunderstorms rolled across the coastal plain that flank Dock Road on its north and south side. The light play interacting with heavy rainfall underneath the granite etched clouds had my heart running with excitement. I knew I was coming home with something good.